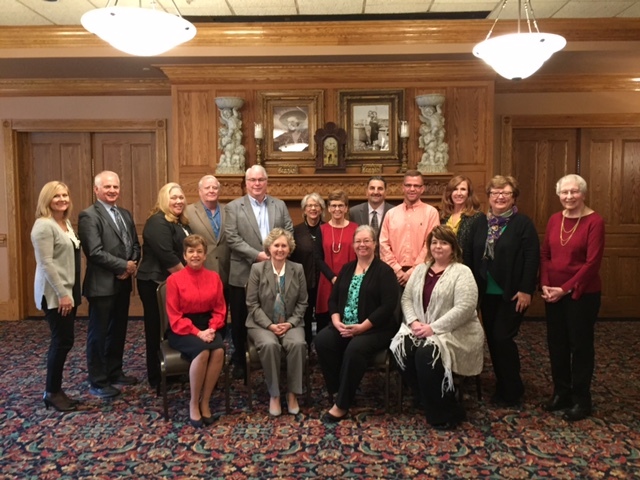 We are proud to announce that the Rotary Club of Frederick has recently awarded the Literacy Council a Significant Partner Grant to help us expand our workplace program over the next year. Our application for this grant was based upon a business model intended to build our capacity for a sustainable program in collaboration with the business community. The purpose of the Literacy Council’s workplace program is to empower low-literate employees to find and keep sustainable employment, thereby lifting themselves out of poverty, becoming eligible for lower health care costs, and ultimately changing their lives and the lives of their families. The program will also help employers identify and retain an educated workforce and reduce turnover, thereby strengthening the entire economic fabric of the community. For the past three years, the Literacy Council has been conducting workplace classes for kitchen workers in several downtown Frederick restaurants, and most recently at Dutch’s Daughter Restaurant. Our workplace restaurant English classes have been popular with both employers and employees, and we will continue to expand this program. We hope to add another industry in the next year, and are seeking interested small to mid-size businesses in restaurant/food service, hospitality, cleaning and maintenance, landscaping or construction – those too small to qualify for workplace classes offered by Frederick Community College – that would like to work with us to support workplace English classes for their employees. The instructional content will focus on English speaking and comprehension, with an emphasis on workplace vocabulary; workplace skills, interaction among staff, and overall basic conversation skills. Many thanks to the Rotary Club of Frederick! We will be offering Rotarians the opportunity to work with us as volunteers, including as tutors. Please contact Laurie Fisher, Executive Director, (301) 600-2066 or lauriefisher@frederickliteracy.org for more information. Holiday Book Drive Seeks to Collect books for 2,000 Frederick County ChildrenScrabble® Mania for Literacy!